Shui' er Han et al. An important new (semi-)technical post over at the Dodecad blog showing how to harness allele frequencies from unsupervised ADMIXTURE results to create dummy populations corresponding to the inferred ancestral populations, and, how to use these "zombies" to do cool things fast. A side-story is that it's now possible to discover the origin of the enigmatic Kalash, a population that tends to form their own cluster; it turns out these Dardic speakers of Pakistan are of West Asian origin. UPDATE (May 30): Another post, reconstructing ANI/ASI "zombies". My only point of disagreement with Dolgopolsky's model is that the secondary Balkan homeland was responsible only for the European IE languages (and Armenian) but not for the eastern migration of the Tocharians and Indo-Iranians. I have argued elsewhere in my blog about the West Asian origin of these Asian IE branches; a Balkan origin for them seems unlikely at the moment, due to the lack of Y-haplogroup I and of the "Southern European" component among the eastern Indo-Europeans. Of course, we must wait to see what surprises archaeogenetics may have in store for us. 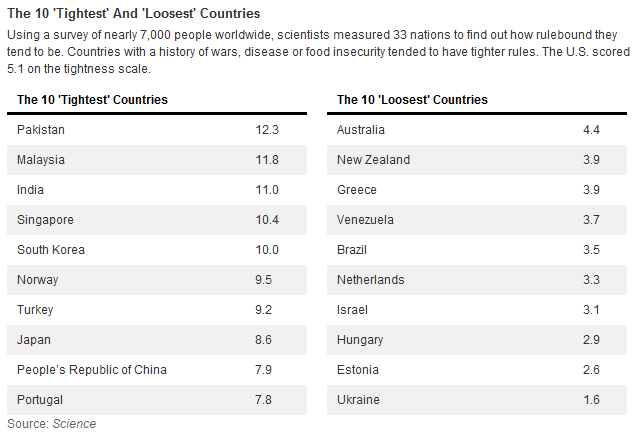 Audio interview with lead author in NPR, also has a table with 10 loosest and 10 tightest cultures (left). 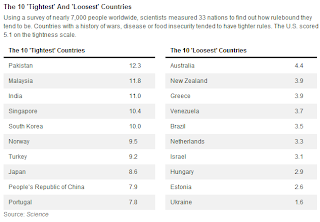 Gelfand and colleagues found that countries such as Japan, Korea, Singapore and Pakistan are much tighter whereas countries such as the Ukraine, Israel, Brazil, and the U.S. are looser. Their research further showed that a nation's tightness or looseness is in part determined by the ecological and human factors that have shaped its history – including wars, natural disasters, disease outbreaks, population density and scarcity of natural resources. Tight and loose societies also vary in their institutions—with tight societies having more autocratic governments, more closed media, and criminal justice systems that had more monitoring and greater deterrence of crime as compared to loose societies. 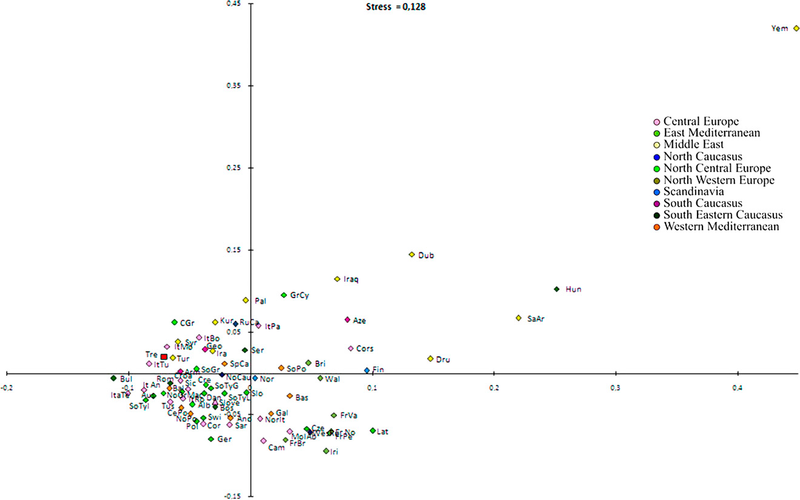 The study found that the situations that people encounter differ in tight and loose societies. For example, everyday situations—like being in park, a classroom, the movies, a bus, at job interviews, restaurants, and even one's bedroom—constrain behavior much more in tight societies and afford a wider range of behavior in loose societies. "We also found that the psychological makeup of individual citizens varies in tight and loose societies," Gelfand said. "For example, individuals in tight societies are more prevention focused (attentive to rules), have higher self-regulation strength (more impulse control) and have higher needs for order and self-monitoring abilities than individuals in loose societies. These attributes, Gelfand said, help people to adapt to the level of constraint (or latitude) in their cultural context, and at the same time, reinforce it. All individuals in a finite population are related if traced back long enough and will, therefore, share regions of their genomes identical by descent (IBD). Detection of such regions has several important applications—from answering questions about human evolution to locating regions in the human genome containing disease-causing variants. However, IBD regions can be difficult to detect, especially in the common case where no pedigree information is available. In particular, all existing non-pedigree based methods can only infer IBD sharing between two individuals. Here, we present a new Markov Chain Monte Carlo method for detection of IBD regions, which does not rely on any pedigree information. It is based on a probabilistic model applicable to unphased SNP data. It can take inbreeding, allele frequencies, genotyping errors, and genomic distances into account. And most importantly, it can simultaneously infer IBD sharing among multiple individuals. Through simulations, we show that the simultaneous modeling of multiple individuals makes the method more powerful and accurate than several other non-pedigree based methods. We illustrate the potential of the method by applying it to data from individuals with breast and/or ovarian cancer, and show that a known disease-causing mutation can be mapped to a 2.2-Mb region using SNP data from only five seemingly unrelated affected individuals. This would not be possible using classical linkage mapping or association mapping. Rare variants affecting phenotype pose a unique challenge for human genetics. Although genome-wide association studies have successfully detected many common causal variants, they are underpowered in identifying disease variants that are too rare or population-specific to be imputed from a general reference panel and thus are poorly represented on commercial SNP arrays. We set out to overcome these challenges and detect association between disease and rare alleles using SNP arrays by relying on long stretches of genomic sharing that are identical by descent. We have developed an algorithm, DASH, which builds upon pairwise identical-by-descent shared segments to infer clusters of individuals likely to be sharing a single haplotype. DASH constructs a graph with nodes representing individuals and links on the basis of such segments spanning a locus and uses an iterative minimum cut algorithm to identify densely connected components. We have applied DASH to simulated data and diverse GWAS data sets by constructing haplotype clusters and testing them for association. In simulations we show this approach to be significantly more powerful than single-marker testing in an isolated population that is from Kosrae, Federated States of Micronesia and has abundant IBD, and we provide orthogonal information for rare, recent variants in the outbred Wellcome Trust Case-Control Consortium (WTCCC) data. In both cohorts, we identified a number of haplotype associations, five such loci in the WTCCC data and ten in the isolated, that were conditionally significant beyond any individual nearby markers. We have replicated one of these loci in an independent European cohort and identified putative structural changes in low-pass whole-genome sequence of the cluster carriers. This should also be of interest to genealogists, as the ability to tell apart very closely related individuals is essential to proving a genealogical link, rather than a more general link of an individual to a broader patrilineal kinship group. A new future of forensic Y-chromosome analysis: Rapidly mutating Y-STRs for differentiating male relatives and paternal lineages. Ballantyne KN, Keerl V, Wollstein A, Choi Y, Zuniga SB, Ralf A, Vermeulen M, de Knijff P, Kayser M.
The panels of 9-17 Y-chromosomal short tandem repeats (Y-STRs) currently used in forensic genetics have adequate resolution of different paternal lineages in many human populations, but have lower abilities to separate paternal lineages in populations expressing low Y-chromosome diversity. Moreover, current Y-STR sets usually fail to differentiate between related males who belong to the same paternal lineage and, as a consequence, conclusions cannot be drawn on the individual level as is desirable for forensic interpretations. Recently, we identified a new panel of rapidly mutating (RM) Y-STRs, composed of 13 markers with mutation rates above 1×10(-2), whereas most Y-STRs, including all currently used in forensics, have mutation rates in the order of 1×10(-3) or lower. In the present study, we demonstrate in 604 unrelated males sampled from 51 worldwide populations (HGDP-CEPH) that the RM Y-STRs provide substantially higher haplotype diversity and haplotype discrimination capacity (with only 3 haplotypes shared between 8 of the 604 worldwide males), than obtained with the largest set of 17 currently used Y-STRs (Yfiler) in the same samples (33 haplotypes shared between 85 males). Hence, RM Y-STRs yield high-resolution paternal lineage differentiation and provide a considerable improvement compared to Yfiler. We also find in this worldwide dataset substantially less genetic population substructure within and between geographic regions with RM Y-STRs than with Yfiler Y-STRs. Furthermore, with the present study we provide enhanced data evidence that the RM Y-STR panel is extremely successful in differentiating between closely and distantly related males. Among 305 male relatives, paternally connected by 1-20 meiotic transfers in 127 independent pedigrees, we show that 66% were separated by mutation events with the RM Y-STR panel whereas only 15% were with Yfiler; hence, RM Y-STRs provide a statistically significant 4.4-fold increase of average male relative differentiation relative to Yfiler. The RM Y-STR panel is powerful enough to separate closely related males; nearly 50% of the father and sons, and 60% of brothers could be distinguished with RM Y-STRs, whereas only 7.7% and 8%, respectively, with Yfiler. Thus, by introducing RM Y-STRs to the forensic genetic community we provide important solutions to several of the current limitations of Y chromosome analysis in forensic genetics. In Eastern cultures, especially China, “one must NOT show ones' teeth when smiling” is a strict rule of discipline for women that has lasted thousands of years, ever since the Tang Dynasty (so the Mona Lisa's smile could also have been appreciated by ancient Chinese). Ancient Chinese women even used adornments around the mouth (e.g., fake dimples) to compensate for the lack of emotional information conveyed by the mouth during their closed-mouth smiles. A good example of such an historic and prevalent influence of cultural value on the role of the mouth in smiles can be illustrated by contrasting the smile emoticons used on the Internet by Easterners and Westerners. In common Western smile emoticons such as :-) or :), the mouth is exaggerated with a crimped line whereas the eyes are simplified as two dots. As a contrast, Japanese use smile emoticons with a simplified mouth but crimped eyes, e.g., (ʌ.ʌ) or (ʌ_ʌ) , , . 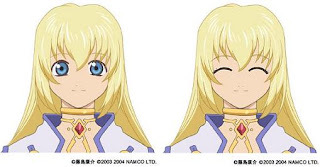 Chinese, especially females, go even further by not only adopting simplified mouth and crimped eyes, but also inusing them with the ancient tradition of attaching fake dimples, e.g., (*ʌ_ʌ*), ( = ʌ_ʌ = ), or (@ʌ_ʌ@) . I think the distinction between Western and Eastern here may not accurately capture the temporal dynamics of this process. If one looks back at Western art -the "Mona Lisa example is apt- I think one would be hard to find examples of the big bright smile that seems to be favored in much of Western culture today. Indeed, when I was collecting pictures for my "women from the 40s vs. women from the 2000s facial composites", I noticed how difficult it was to find pictures of the modern women that did not adopt the typical wide smile. I don't remember ever seeing an ancient Greek depiction of a modern-type smile, and the Greek meidiama was a decidedly closed-mouth affair, with the occasional depiction of satyrs slightly deviating towards a more open-mouth smile, but of a malevolent rather than pleasant bent. 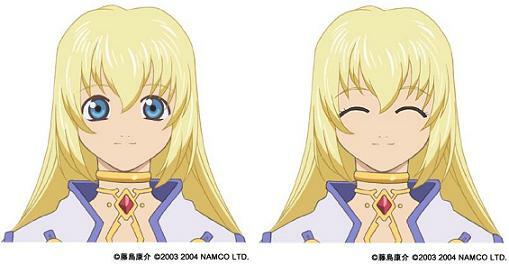 How do people interpret the meaning of a smile? Previous studies with Westerners have found that both the eyes and the mouth are crucial in identifying and interpreting smiles, yet less is known about Easterners. Here we reported that when asking the Chinese to judge the Duchenne and non-Duchenne smiles as either real or fake, their accuracy and sensitivity were negatively correlated with their individualism scores but positively correlated with their collectivism scores. However, such correlations were found only for participants who stated the eyes to be the most useful references, but not for those who favored the mouth. Moreover, participants who favored the eyes were more accurate and sensitive than those who favored the mouth. Our results thus indicate that Chinese who follow the typical Eastern decoding process of using the eyes as diagnostic cues to identify and interpret others' facial expressions and social intentions, are particularly accurate and sensitive, the more they self-report greater collectivistic and lower individualistic values. Abstract - Seeds for the Soul: East/West Diffusion of Domesticated Grains along the Inner Asian Mountain Corridor. 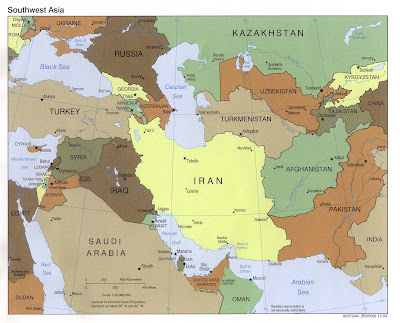 Inner Asia has commonly been conceived as a region of Nomadic societies surrounded by agricultural civilizations throughout Antiquity. Societies of China, SW Asia, and Eastern Europe each developed agriculture in the Neolithic, while the earliest evidence for agriculture from the Eurasian steppe shows it was not a major part of local economies until the Iron Age (c. 700 BC). Newly discovered botanical evidence of ancient domesticated wheat and millet at the site of Begash in Kazakhstan, however, show that mobile pastoralists of the steppe had access to domesticated grains already by 2300 BC and that they were likely essential to the diffusion of wheat into China, as well as millet into SW Asia and Europe in the mid-3rd millennium BC. Currently, Begash provides the only directly dated botanical evidence of these crisscrossed channels of interaction. Whatsmore, the seeds from Begash were found in a ritual cremation context rather than domestic hearths. This fact may suggest that the earliest transmission of domesticated grains between China and SW Asia was sparked by ideological, rather than economic forces. This paper describes the earliest known evidence of wheat in the Eurasian steppes and explores the extent of ritual use of domesticated grains from China to SW Asia, across the Inner Asian mountains. All in all a very enlightening talk that suggests that the mountain corridor south of the Caspian Sea, lands that would later be part of the Silk Road was the main conduit for cultural exchange between east and west, with Begash having the earliest presence of wheat in the steppe in a ritual context (more below). His passing remark about the absence of grains east of the Don and all the way to Mongolia is interesting in terms of some of my recent comments. Frachetti points out how misguided it is to view the Eurasian steppe as a uniform culture area, pointing out that the horse and cattle were more important in the European steppe, whereas goats were much more important in the Asian steppe with a full-blown pastoralist economy that did not depend on horses. He thinks that domesticated wheat and millet moved in opposite directions (from West Asia and China) and arrived in Central Asia, a land formerly devoid of the cereals that were used in the great civilizations of the Aegean, Near East, South Asia, and China. His inference that the wheat at Begash and Xiaohe had a ritual funerary use seems very well-argued, although over time wheat acquired an alimentary role as well. They basically find no grains anywhere on the site except at a cremation burial from an early period where wheat was deposited; the existence of a cremation burial is in itself interesting. During the Q&A an attendee expresses incredulity that wheat would be used in such a context, but really I see no problem with it, as the offering of wheat in that context has a long history, and is, indeed, widely practiced even today. At Begash we seem to be witnessing the beginnings of the spread of ideology to a steppe population. These steppe pastoralists seem to be adopting the use of wheat as a symbol of life, or "food for the dead", and the fact that they probably traded for this commodity suggests its symbolic importance to them. Birger and his son belonged to Y-haplogroup I1 and had haplogroup H and Z1a mtDNA respectively. 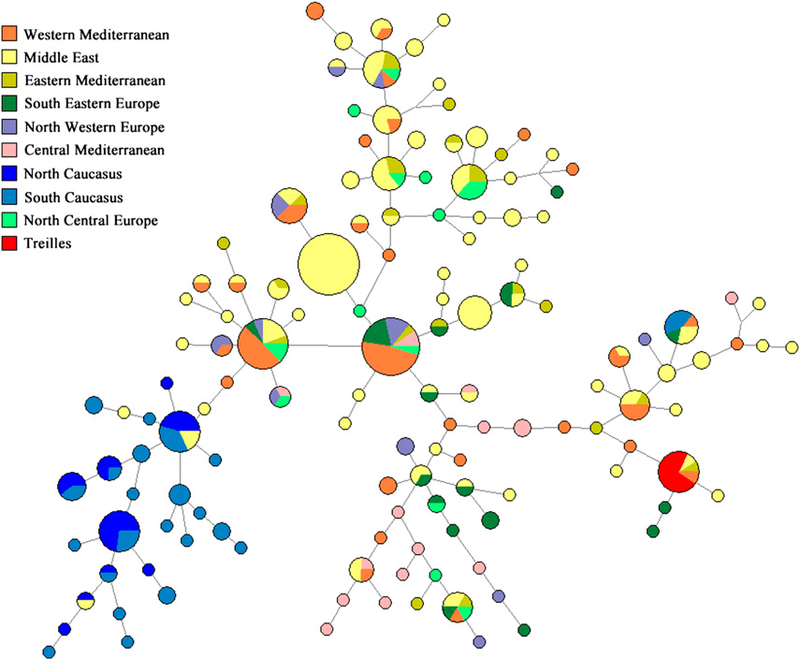 The presence of Z1a is interesting, suggesting that occasional Asian mtDNA sequences in Swedes may have been present in that population from a fairly early historical period. The female had mtDNA U5b1. The authors also tested for the lactase persistence allele: Birger was heterozygous, and the other two individuals had the T (persistent) allele. The Y-chromosome results will be added to the Ancient Y-chromosome studies page. Personally I'm not surprised by this; my own look at genomic data has identified an "Altaic" component which peaks at the Turkic Yakut and Tungusic Evenk, and is shared by every Turkic, Mongolic, and Tungusic population available to me. The same component also occurs to some extent among all the Japanese (5) and Korean (4) members of the Dodecad Project, while it is lacking in all the Chinese ones (8). Of particular interest is the degree of CCM between Indo-European and Semitic languages (Tables 2 and 3). In many of the most geographically distant languages these are less than 10; by comparison, among Semitic languages the are all greater than 20. This seems to be quite in agreement with the idea that Semitic is a Bronze Age language family, Indo-European a Neolithic one. This impression is strengthened by the fact that CCM between reconstructed proto-languages (e.g. Proto-Iranian and Proto-Slavic = 20) are much higher. Since these proto-languages are a few thousand years closer to the root of PIE than present-day languages, and differences between them are similar to those of Semitic languages, the notion that PIE is a few thousand years older than Proto-Semitic seems quite consistent with the evidence. 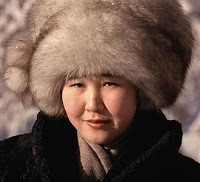 The idea that the Turkic, Mongolian, Tungusic, Korean, and Japanese languages are genetically related (the “Altaic hypothesis”) remains controversial within the linguistic community. In an effort to resolve such controversies, we propose a simple approach to analyzing genetic connections between languages. The Consonant Class Matching (CCM) method uses strict phonological identification and permits no changes in meanings. This allows us to estimate the probability that the observed similarities between a pair (or more) of languages occurred by chance alone. The CCM procedure yields reliable statistical inferences about historical connections between languages: it classifies languages correctly for well-known families (Indo-European and Semitic) and does not appear to yield false positives. The quantitative patterns of similarity that we document for languages within the Altaic family are similar to those in the non-controversial Indo-European family. Thus, if the Indo-European family is accepted as real, the same conclusion should also apply to the Altaic family. The earliest horses from the Botai culture of Kazakhstan were used for the mares' milk and were hunted for food. It has also been suggested that the horse has been instrumental in the early emergence of Eurasian pastoralism. If that is true, then we expect to find horse remains in steppe pastoralist cultures in addition to domesticated animals (goats and cattle, the pig is lacking). 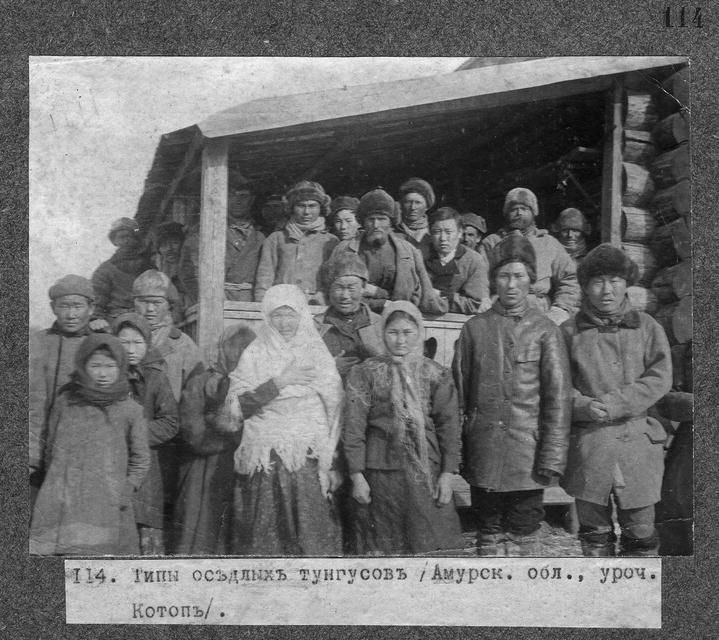 A paper by Frachetti and Benecke looked at the chronological sequence of the Begash culture from southeastern Kazakhstan. Surprisingly, they found no horse bones in the earliest period, a few ones in subsequent periods, while 14 per cent of the animals were horses only in the later (post-Mongolian) phase. The relative frequencies show a steady increase of this species through time, from 2 per cent in Phase 1b to 14 per cent in the Phases 5 and 6. Whether the lack of horses in the earliest phase of occupation (Phase 1a) is an artefact of the small size of the total faunal collection or was a reality remains an open question. The second half of the third millennium BC, which roughly corresponds with Phase 1a, is considered as the period when horse domestication flourished in Western Asia (Benecke & von den Driesch 2003). 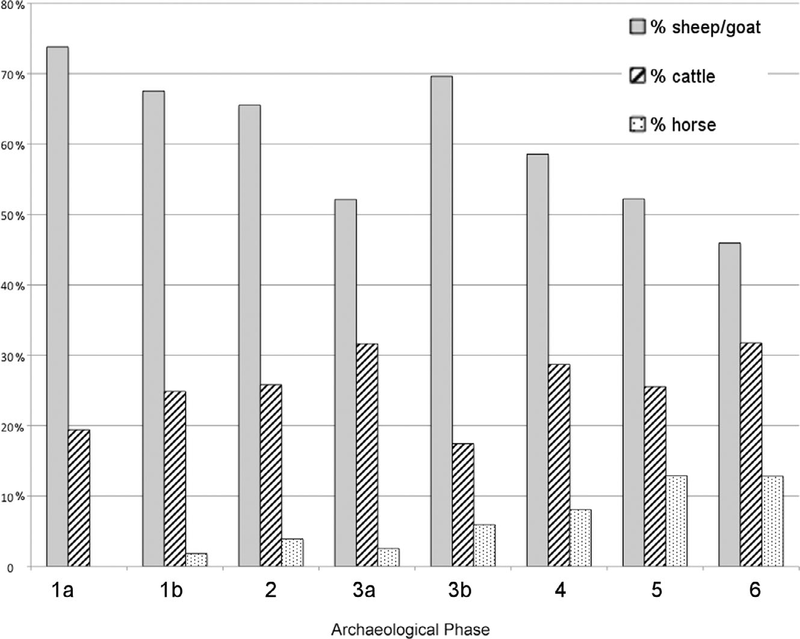 Nevertheless, percentages of horse remains at Begash remain below 6 per cent until approximately AD 50 (Phase 3b). The steady increase in horses in the faunal record does correlate with documented political and social expansions of eastern Eurasian mobile pastoralists in the mid-first millennium BC. For example, the increase in horses in Phase 3 (750 BC-AD 50) corresponds with the growth of nomadic steppe confederacies such as the Saka and Wusun (Chang et al. 2003; Rogers 2007). The domestic horse is documented at Begash by the start of the second millennium BC, but its impact on pastoralism is not clear. It is true that by increasing their use of the horse throughout the Iron Age and later periods, the inhabitants of Begash likely improved their mobility and access to pastures across various ecological niches for their primary herd animals. Nevertheless, the zooarchaeological record from Begash illustrates that the increase in horses through time correlates first with opportunistic hunting forays at the end of the Bronze Age and then with expanding political engagements that undoubtedly reshaped the organisation of Eurasian pastoralist communities from the first millennium BC onward. When compared to the relative stability of other domesticates at Begash, the small Bronze Age presence and limited expansion of horses in the faunal record before historic periods demands that we reconsider the degree to which domestic horses played a dominant role in emerging pastoralist lifeways or in aiding the diffusion of regional material culture throughout prehistory. Specifically, there is not ample evidence for extensive horse riding during the second millennium BC at Begash. 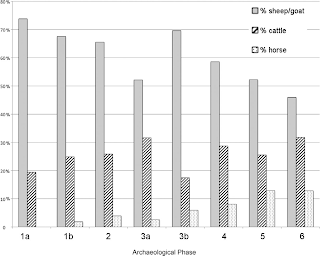 To the degree that Begash is indicative of other pastoralist settlements in the region, the faunal evidence directly challenges the image of middle to late Bronze Age pastoralists (2000-1000 BC) as derived from migrating horse-riders (Kuz’mina 2008) and suggests that horse riding was not the most significant catalyst for regional diffusion at this point in prehistory. This does not demote the importance of domestic horse riding as a key innovation for Eurasian populations in general or defray its historical impact on the region write large; rather these data suggest there were other mechanisms by which pastoralism, material culture, and ideology developed among regional populations in the third and second millennia BC (Frachetti 2008a). The early "cowboys of the steppe" paradigm is slowly collapsing. Certainly the horse was known, milked, eaten, and occasionally ridden on the steppes, but its central role in the emergence of Eurasian pastoralism has been ovestated on rather flimsy evidence. It is only in the 1st millennium BC when it is picked up by Iranic/Turkic warrior confederations that the horse starts to affect Eurasia in a big way, and that is precisely the time when the Scythians appear in West Eurasia from their eastern homeland, followed centuries later by nomadic groups, from the west and north making their presence felt in China. I already covered this commentary (Was North Africa the Launch Pad for Modern Human Migrations?) back in January when it appeared in Science, but it's a great time to read it again, as the redrawing of the human Y-chromosome tree may vindicate its perspective, and indicate that Out-of-Africa was in reality Out-of-North Africa. In any case, here's a pdf copy (and another) of the Balter piece, as well as a podcast in which he talks about "the growing evidence that North Africa was the original home of the modern humans who first trekked out of the continent". PS: This is probably also a good place to remind readers of the story of Kiffians and Tenerians. Methinks that the Kiffians may have been some of the last unadmixed indigenous descendants of the ancestral Saharan population during its latest Holocene wet phase; these late hunter-gatherers were eventually replaced by the tide of farmers on both sides of the Sahara, but perhaps some of their genes live on in NW Africa. The redating of the human Y-chromosome phylogeny to about 142 thousand years ago and the relocation of its most ancient lineages from east and south Africa to the Northwest marks a watershed moment in our understanding of human prehistory. Jebel Irhoud is a cave site located about 100 km west of Marrakech, Morocco. The site is known for the numerous hominid fossils discovered there. Currently, the site has yielded seven specimens. The best known of these are portions of two adult skulls, Irhoud 1 and 2, a child’s mandible (Irhoud 3), and a child’s humerus (Irhoud 4). Fossils 1-3 were discovered while the cave was being quarried for barytes and thus their exact context and age has been subject to debate. Originally the Irhoud hominids were considered North African Neandertals. It is now clear that they are best grouped with other early anatomically modern humans such as Qafzeh (Israel) and Skhul (Israel). Tanya M. Smith et al. Recent developmental studies demonstrate that early fossil hominins possessed shorter growth periods than living humans, implying disparate life histories. Analyses of incremental features in teeth provide an accurate means of assessing the age at death of developing dentitions, facilitating direct comparisons with fossil and modern humans. It is currently unknown when and where the prolonged modern human developmental condition originated. Here, an application of x-ray synchrotron microtomography reveals that an early Homo sapiens juvenile from Morocco dated at 160,000 years before present displays an equivalent degree of tooth development to modern European children at the same age. Crown formation times in the juvenile's macrodont dentition are higher than modern human mean values, whereas root development is accelerated relative to modern humans but is less than living apes and some fossil hominins. The juvenile from Jebel Irhoud is currently the oldest-known member of Homo with a developmental pattern (degree of eruption, developmental stage, and crown formation time) that is more similar to modern H. sapiens than to earlier members of Homo. This study also underscores the continuing importance of North Africa for understanding the origins of human anatomical and behavioral modernity. Corresponding biological and cultural changes may have appeared relatively late in the course of human evolution. In the recent paper on the Ceprano calvarium, Irhoud 1 clearly belonged in the modern human cluster, and so it was in my re-analysis of that data, as were skulls from the Sudan and Tanzania in Africa, and the Qafzeh/Skhul early skulls from the Levant. 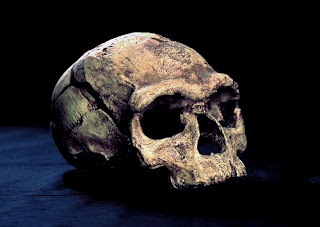 It thus seems to me, that the earliest modern human skulls are found in North/East Africa and West Asia, while the root of the Y-chromosome phylogeny is provisionally in Northwest Africa and seems to be in agreement with the autosomal evidence for a bottleneck in the human population at around 150,000 years ago. The lithic industries of Jebel Irhoud were Mousterian, the same as Neandertals. Mousterian industries link European Neandertals, with modern humans in North Africa and the Near East. 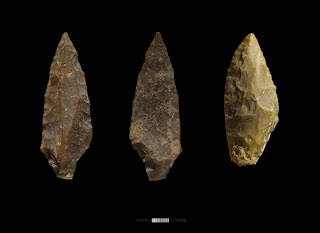 The Mousterian industries represented a genuine progress over the Acheulean tools that archaic humans had been using for hundreds of thousands of years before, and they, in turn, were replaced by the Aurignacian at exactly the time that Cruciani et al. date the main Y-chromosome CT clade that encompasses all Eurasians and most Africans. 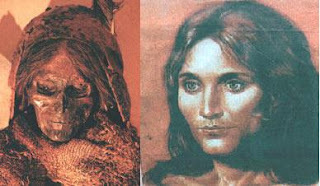 They formed a clade with Neandertals, and used the same Mousterian tools, while humans elsewhere continued to use the older Acheulean ones. Both of them could very well have descended from Homo heidelbergensis, although the transition is not yet clear. They expanded briefly into West Asia after Marine Isotope Stage 5, 120,000 years or so ago, and appeared in the Levant (Skhul/Qafzeh). As the Sahara dried up, they must've spread both to West Asia, and deeper into Africa, and, not surprisingly, the next major branching of the Y-chromosome phylogeny dates to about that time; this accounts for the deep (but not deepest) Y-chromosome lineages in modern day San. Eventually (around 40,000 years ago, after the end of wet Marine Isotope Stage 3), they developed the even more advanced Aurignacian technology, and went on to conquer most of the world, driving the Neandertals to extinction. As the Sahara dried up, they expanded into Sub-Saharan Africa once again, and this time they inundated it with their genes. Hence, the Modern-Neandertal affinity is not the result of any hypothetical admixture event between the two: Sub-Saharan Africans have also preserved some of the genetic legacy of the older Acheulean-using populations of the continent which shifts them somewhat away from other modern humans and Neandertals. MIS 5 120-110 ka: Demographic expansion of modern humans in Sahara during this wet phase, followed by collapse as Sahara becomes dry; escape to West Asia and Sub-Saharan Africa; possible admixture with Neandertals and Acheulean-using Palaeoafricans respectively. after 45 ka: Colonization of Eurasia and Sub-Saharan Africa by modern humans sensu stricto: anatomically and behaviorally modern people with advanced tools. Most human Y-chromosomes (belonging to C, DE, and F) coalesce to this period. Today: Most living humans descended from post 45-ka expansion people. Sub-Saharan Africans shift away from Eurasians due to a little archaic African admixture. Papuans shifted away from Eurasians due to "Denisovan" admixture. Contribution of other archaic hominins to regional Homo sapiens populations TBD. We would eventually switch from microsatellites to SNPs which would provide a better age estimate of the "father of us all"
All these predictions have come true, thanks to a long-awaited new paper by Cruciani et al. that has just appeared in the American Journal of Human Genetics. The new age of our male-line common ancestor is ~142 thousand years ago, which is in agreement with multiple new lines of evidence, as well as a recent genetic model in which the bottleneck that gave rise to modern humans occurred 150 thousand years ago, and not 60 thousand years ago, as it has commongly been thought/reported. To test the robustness of the backbone and the root of current Y chromosome phylogeny, we searched for SNPs that might be informative in this respect. 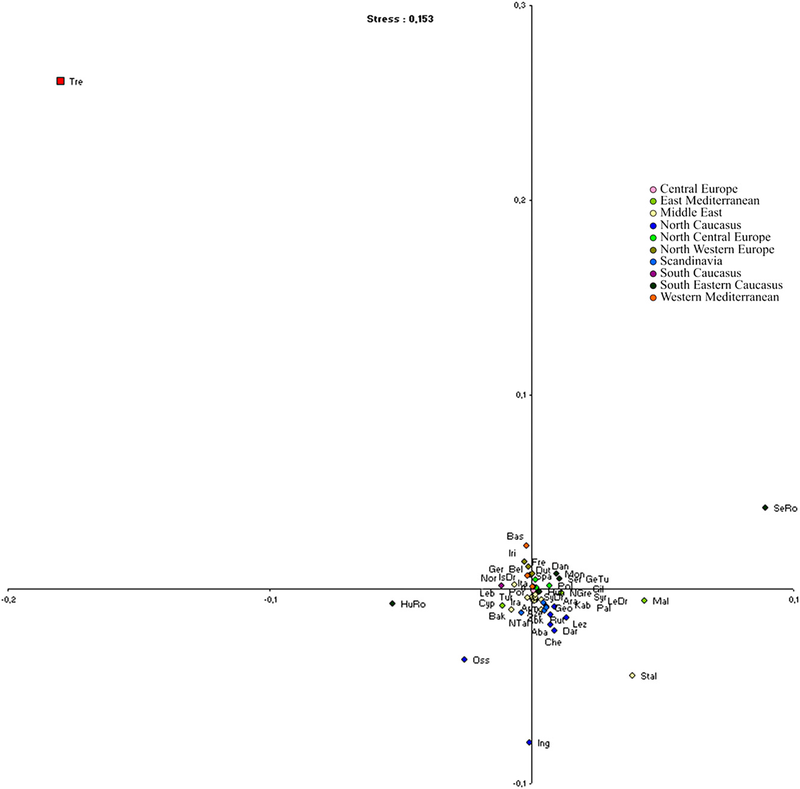 To this aim, a resequencing analysis of a 205.9 kb MSY portion (183.5 kb in the X-degenerate and 22.4 kb in the X-transposed region) was performed for each of seven chromosomes that are representative of clade A (four chromosomes belonging to haplogroups A1a, A1b, A2, and A3), clade B, and clade CT (two chromosomes belonging to haplogroups C and R) (Table S1 available online). The Y-chromosome phylogeny as it was understood until today had haplogroup A as the first lineage to branch off, followed by haplogroup B, with almost all non-African belonging to the remainder haplogroup CT. The deepest branching separates A1b from a monophyletic clade whose members (A1a, A2, A3, B, C, and R) all share seven mutually reinforcing derived mutations (five transitions and two transversions, all at non-CpG sites). The age for CT (38,800 years) is particularly interesting as it seems to correspond well to the Upper Paleolithic revolution. It seems that the vast majority of men have a recent male-line common ancesstor in the last 40,000 years, while a few are descended from Palaeoafricans who split at various times up to 100,000 years earlier than this. It will only get better from here. The authors sequenced only about 200 thousand bases of the Y-chromosome. With the advent of cheap whole genome sequencing, this will be blown up for sure by a couple orders of magnitude: the confidence intervals will get smaller, the phylogeny may be revised at different levels of the tree, and many more internal nodes will be precisely dated. 200 thousand is plenty enough for dating the root of the tree, because there has been plenty of time for mutations to accrue since the first split between A1b and the rest. But, that is not the case for much younger splits in the tree, e.g., between sub-haplogroups R1a and R1b of the R1 clade. To get good estimates of those, we will need to sequence much more of the Y-chromosome, but, thankfully, that will become possible very soon, if it not already is. Four subjects (two Berbers from northwest Africa, one Tuareg and one Fulbe from Niger) were confirmed as belonging to clade A1a.24,29 It is worth noting that this clade was previously detected in west Africa, although at low frequencies.10,30,31,32 Three chromosomes from the Bakola pygmy group from southern Cameroon (central Africa) were found to carry the derived allele at V164, V166, V196, and P114 and were classified as A1b. 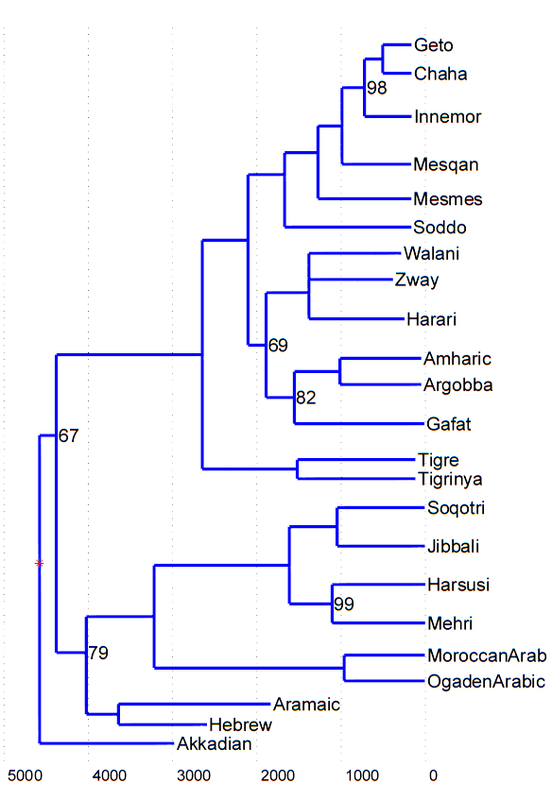 Interestingly, one chromosome from an Algerian Berber group (northwest Africa) was found to carry the derived allele at V164, V166, and V196 but carried the ancestral one at P114, implying a bipartite structure for A1b, where P114 defines an internal node. Third, contrary to previous phylogeny-based conclusions,15,16 the deepest clades of the revised MSY phylogeny are currently found in central and northwest Africa. 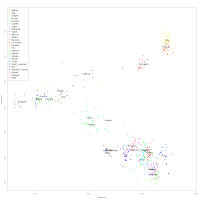 MSY lineages from these regions coalesce at an older time (142 KY) than do those from east and south Africa (105 KY), opening new perspectives concerning early modern human evolution. 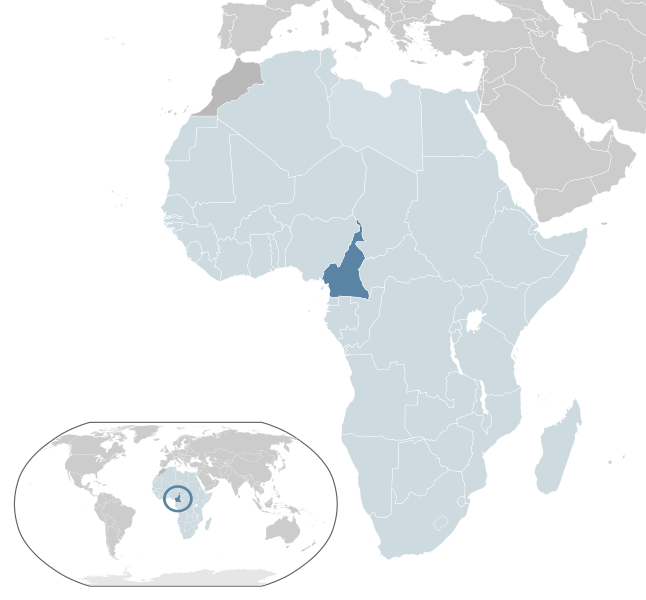 A scenario of a Y chromosome “Adam” living in central-northwest Africa about 140 KY ago would provide a good fit to the present data. However, we also note that, because of the still largely incomplete geographic coverage of the African MSY diversity and unknown consequences of past population processes such as growth, extinction, and migration, any phylogeny-based inference on the geographical origin of human MSY diversity in Africa should be made with caution. This ought to be a potent reminder that different genetic systems tell different stories. The autosomal evidence seems to suggest that the most divergent modern humans (from the rest) are the Mbuti Pygmies and Khoi-San, but Y-chromosomes point to Bakola and Berbers. Perhaps this is yet another much-needed wakeup call to consider more interesting within-Africa scenarios. Haplogroup DE was not dated in this analysis, which was unfortunate. Karafet et al. used a SNP-counting method, that, unlike this one, relied on a calibration point which they set at 70ka for CT. They then estimated an age for DE of 65ka. In this study, CT was directly dated to 38.8ka, hence the age of DE using this calibration becomes ~36ka, but it would certainly be a good idea to compare D and E using the methodology of this paper directly. In any case, the expansion of DE also probably fits the scenario of human origins I describe in a new post. It appears that Karafet et al. (2009) called CT the M168 node; this includes DE. They estimated an age for CF = 68.9ka and for DE = 65ka, based on a calibration for CT = 70ka. In any case, all these ages translate to about 36-39ka in the current paper's terms. 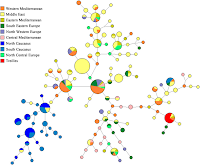 The haplogroup tree classiﬁes all the major haplogroups as monomorphic, and recovers the relationships between them, with high bootstrap conﬁdence. 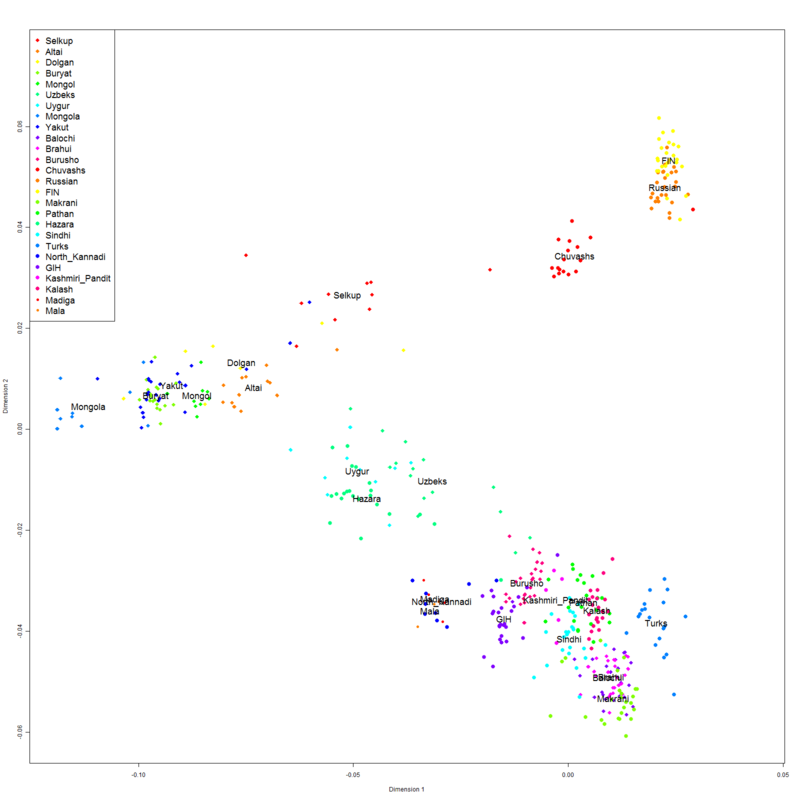 It also shows evidence for a deep division between haplogroups DE and CT, previously identiﬁed only by a single marker (P143). To shed light on the structure of the basal backbone of the human Y chromosome phylogeny, we sequenced about 200 kb of the male-specific region of the human Y chromosome (MSY) from each of seven Y chromosomes belonging to clades A1, A2, A3, and BT. We detected 146 biallelic variant sites through this analysis. We used these variants to construct a patrilineal tree, without taking into account any previously reported information regarding the phylogenetic relationships among the seven Y chromosomes here analyzed. There are several key changes at the basal nodes as compared with the most recent reference Y chromosome tree. A different position of the root was determined, with important implications for the origin of human Y chromosome diversity. An estimate of 142 KY was obtained for the coalescence time of the revised MSY tree, which is earlier than that obtained in previous studies and easier to reconcile with plausible scenarios of modern human origin. The number of deep branchings leading to African-specific clades has doubled, further strengthening the MSY-based evidence for a modern human origin in the African continent. An analysis of 2204 African DNA samples showed that the deepest clades of the revised MSY phylogeny are currently found in central and northwest Africa, opening new perspectives on early human presence in the continent. The same authors dated Proto-Indo-European at 8.4ky, in agreement with the work of Gray and Atkinson. In the current paper they re-analyze the data of Kitchen et al. (2009) for Semitic languages, and their estimate is somewhat younger than 5,750 years of that paper. All in all, it's good to see different researchers using different techniques but coming up with similar solutions. It is increasingly clear that while the Proto-Indo-Europeans originated in the Neolithic Near East, the Proto-Semites followed them by about three thousand years. In the latter case there is also a Y-chromosome marker (J-P58) with an apparent age in impeccable agreement with the linguistic evidence, now that the genealogical-"evolutionary" mutation wars seem to have been won. This also brings into focus the weakness of the argument that Anthony (2007) (p. 76) brings to the table by hypothesizing that the first farmers of northern Syria were Afro-Asiatic speakers like the Semites of the Near Eastern lowlands. Semites come into the picture 5,000 years after the onset of the Neolithic, and 3,000 years after the Proto-Indo-Europeans. 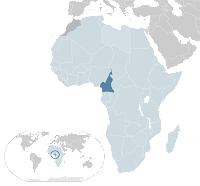 Their relationship with Afroasiatic speakers of Africa make it quite likely that they lived in the south, probably in Arabia, and certainly not in eastern Anatolia or northern Syria. 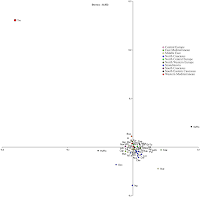 Indeed, the recent discovery that haplogroup J1*(xP58) is associated with Northeast Caucasian languages, together with the absence or paucity of J1 in most African Afroasiatic speakers suggests to me that the J-P58 Proto-Semites may be the result of the transfer of an African language on a basically West Asian population. Such a scenario might also explain some of the -incorrectly quantified, but nonetheless existent- African genetic components in both Jews and Arabs, as well as the pastoralist/dry-climate J1 associations. Proceedings of the 26th International Workshop on Statistical Modelling. Phylogenetic models for Semitic vocabulary. Abstract: Kitchen et al. 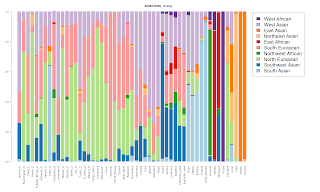 (2009) analyze a data set of lexical trait data for twenty ﬁve Semitic languages, including ancient languages Hebrew, Aramaic and Akkadian, modern South Arabian and Arabic languages and ﬁfteen ethiosemitic languages. They estimate a phylogenetic tree for the diversiﬁcation of lexical traits using tree and trait models and methods set up for genetic sequence data. We reanalyze the data in a homplasy-free model for lexical trait data. We use a prior on phylogenies which is non-informative with respect to some of the key scientiﬁc hypotheses (concerning topology and root time). Our results are in broad agreement with those of Kitchen et al. 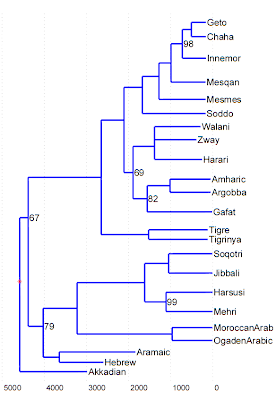 (2009), though our 95% HPD for the root of the Semitic tree (the branching of Akkadian) is [4400, 5100]BP and we place Moroccan and Ogaden Arabic in the Modern South Arabian Group. In a previous post I summarized extensive evidence by myself and Turkish researchers to the effect that modern Turks are about 1/7 descended from Central Asian Turkic speakers, and 6/7 from pre-Turkic West Asians. Some people have argued that Uzbeks, the best representative of the Central Asian ancestors of the Turks are inappropriate as a parental population. Can Turks be modeled as a 1/7-6/7 simple mix of West Eurasians and Central Asians? I refer to my most recent K=11 ADMIXTURE results as useful data that can be used to test this hypothesis once again. I will use the 4-way average of Greek_D, Armenian_D, Georgians, and Syrians as representative of the "West Eurasian" component in Turks. These 4 populations border Turks from the West, East, North, and South, and their average is expected to be a good stand-in for what pre-Turkish Anatolians were like, and probably more robust than choosing arbitrarily just one of the 4 populations. I will use Uzbeks as representative of Central Asian Turks, and I will calculate the weighted average of the two (1/7 Uzbek + 6/7 "West Eurasian"). I will then compare this with the average of the Turks (from Behar et al. 2010)+Turkish_D combined sample. As you can see, the simulated average is virtually identical to the empirical one. All components do not deviate from it by more than 0.4%, and only the most important West Asian one deviates by a mere 1.8% which, in relative terms (divided by the mean of 49.2%) represents a 3.7% error. Given the finite sample sizes, the limitations of ADMIXTURE, and the use of a 4-way average as a proxy for pre-Turkish Anatolians, I can easily claim that this does not only confirm the validity of my model but to an extraordinary degree. A different way of testing the model's validity is the correlation between the empirical and simulated admixture proportions which is 0.99956. I don't think I need to point out how remarkable this is. The empirical data are consistent with the idea that Anatolian Turks are a simple mix of a West Eurasian population element equivalent to the average of their immediate neighbors, and a Central Asian population element similar to Uzbeks in a 6:1 analogy. These results confirm and extend the extensive evidence of the previous post. UPDATE (May 21): In a new experiment, I demonstrate that all available Turkic samples fall almost perfectly on a cline between West and East Eurasians. That experiment also shows that Uzbeks are the most West Eurasian out of the available Central Asian Turkic populations. 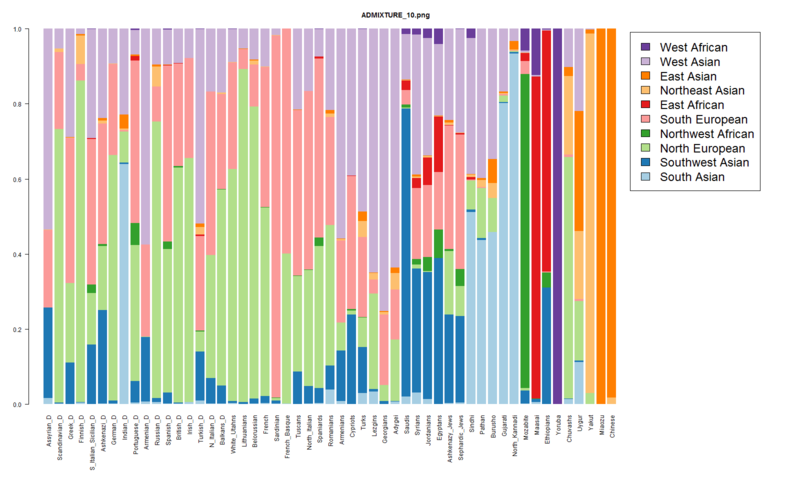 It is still unclear what the ratio of West/East Eurasian elements in Turkic people who entered Anatolia was, but these results certainly point out that the Uzbeks are not unusually Mongoloid in their makeup among Turkic peoples, rather the opposite.